Recently I finished the last of the quilts in the queue for a little one who was born to some dear friends in late December. 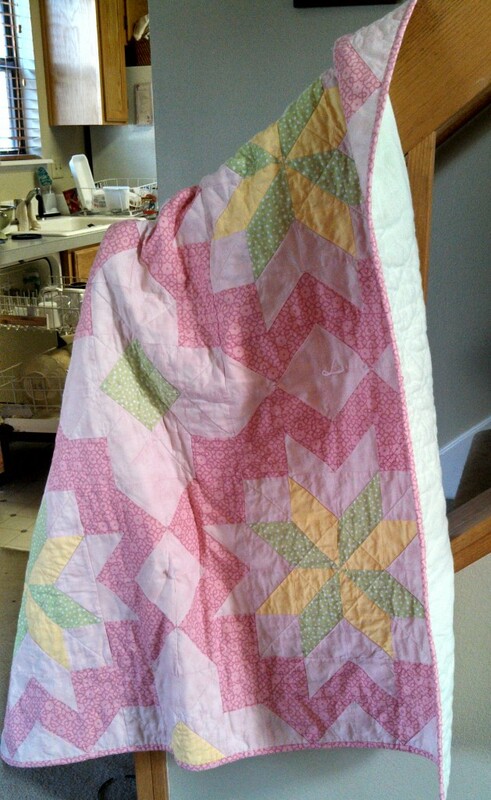 It took so long because I had so many quilts in the queue, but also because I bit off a little more than anticipated. This is officially the second most complicated quilt I made. Which means it is quite fortuitous that it is going to live with the family who owns my number one most complicated quilt, the very first quilt I made! I picked out the Star Surround pattern by Melissa at Happy Quilting, because I knew it would be a challenge and a fun way to figure out some new piecing techniques. 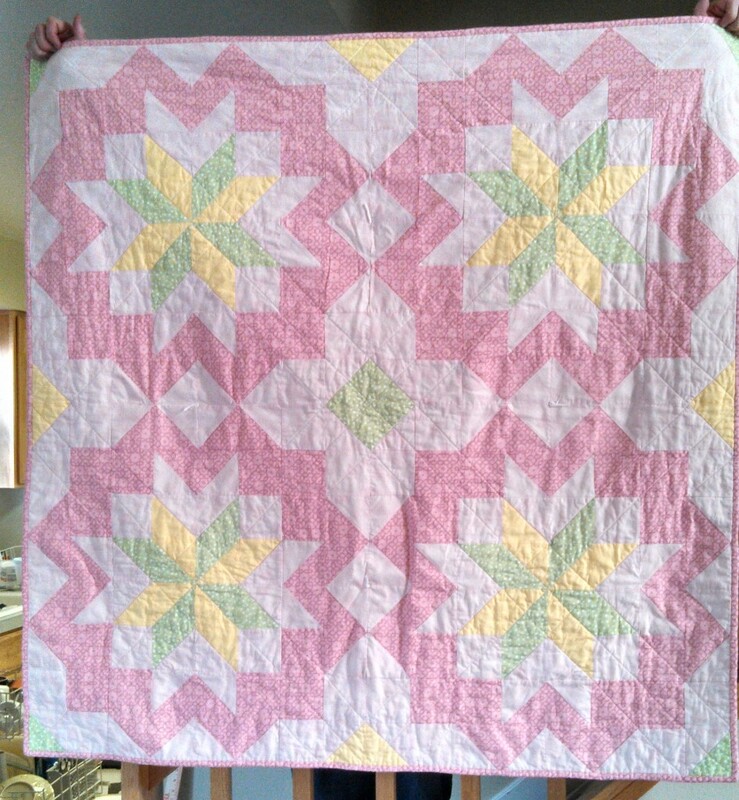 Plus, I figured as a baby quilt it wouldn’t get too overwhelming. Well, it was all of those things, but I enjoyed the process all the same. It had to be put down and picked back up several times throughout the fall and winter, but the finished project was worth the wait (I think). I used a light pink for the background fabric along with some green and dark pink to match the nursery the new parents had set up. I needed another color, and the yellow seemed like a nice compliment rather than yet another green. I’m really glad I went with it because it contrasts the pink and green really well. 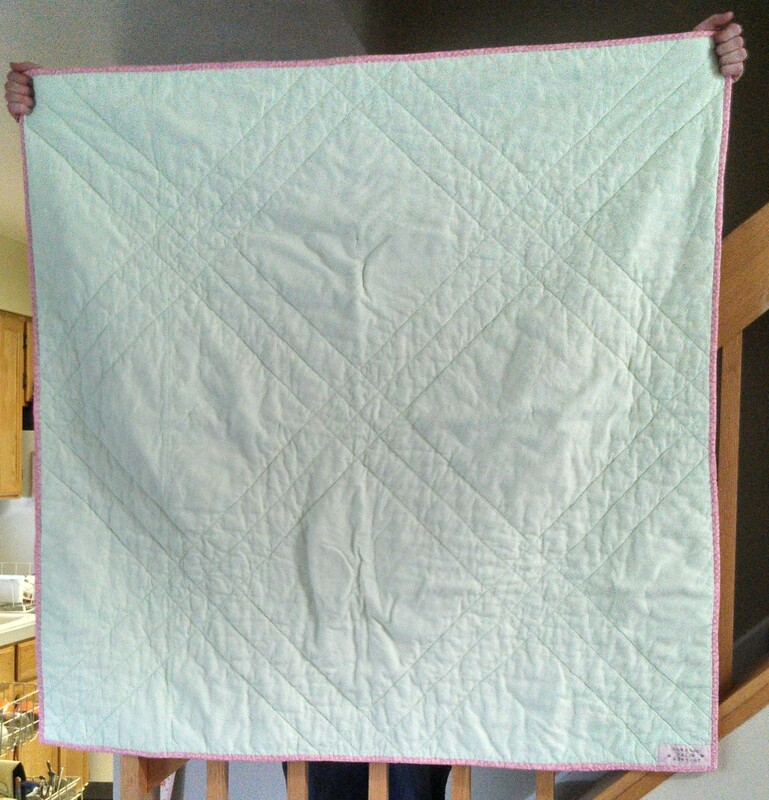 The backing is a light green flannel that is soft for baby. 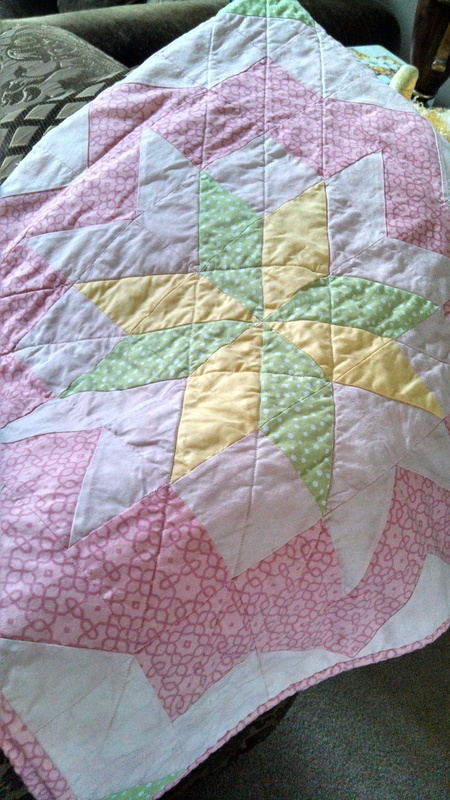 I quilted it lightly and tied in just 4 places for some added interest. After dropping and picking up this one for the umpteenth time, I finally finished it up with a little label stating the baby’s name. The parents love it, and I’m sure she will grow to love it soon, too. It’s bigger, so she should be able to use it for a bit longer!